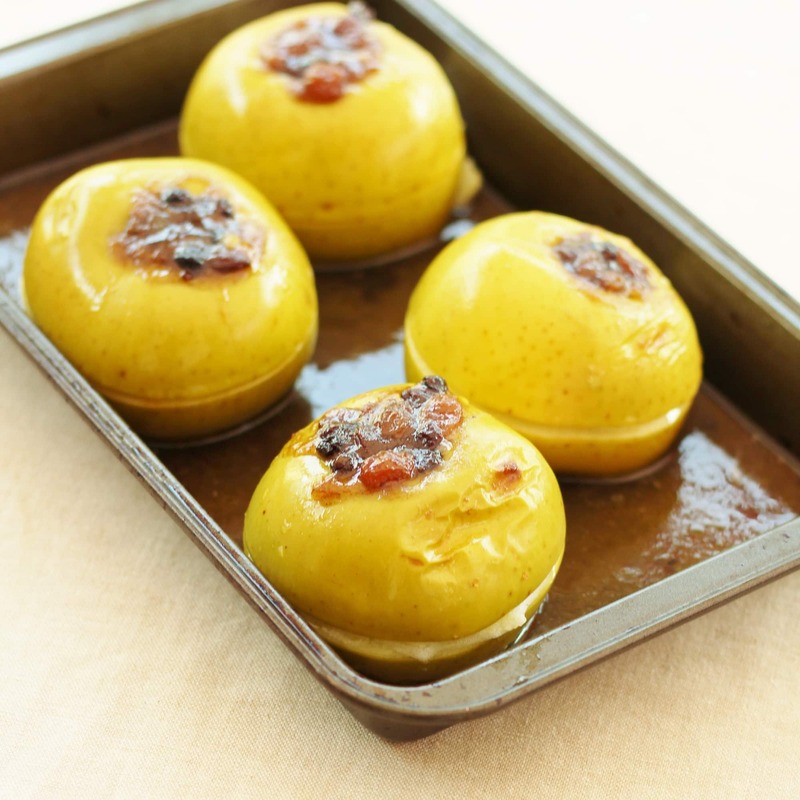 Whether you want a decadent festive pud to get you in the mood for Christmas or an easy peasy way of using up leftover mincemeat after Christmas, these Baked Apples with Mincemeat, Maple Syrup and Brandy Butter are sure to hit the spot! 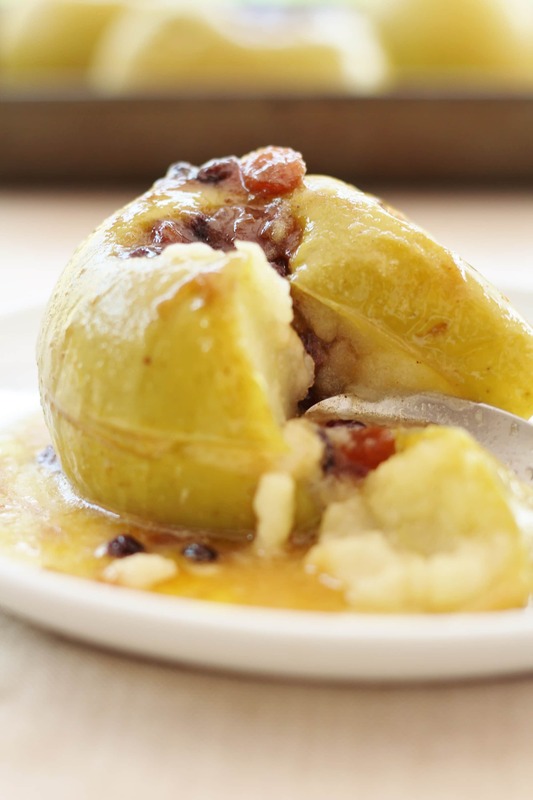 And, as a bonus, these simple baked apples are a fab way to use up leftover mincemeat and brandy butter after Christmas in a way that doesn’t involve eating yet more mince pies. Don’t get me wrong, I love a good mince pie and at this time of year I can’t get enough of them! But there does come a point after Christmas, doesn’t there? Where you just can’t look at another mince pie, let alone eat one!! Or is that just me??? 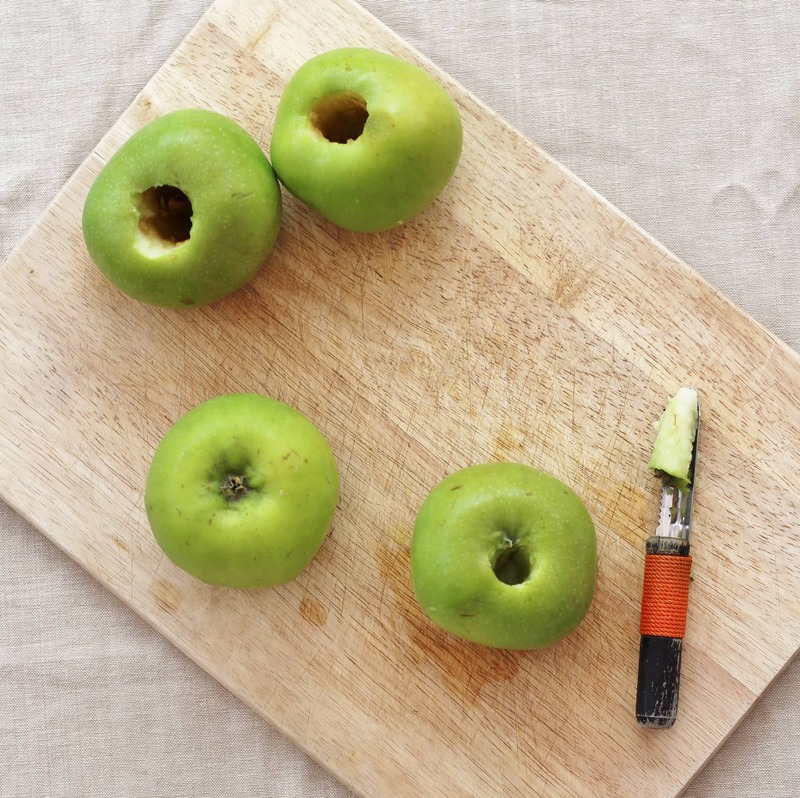 Use an apple corer to remove the cores from your apples, then carefully score around the middle of each apple, using a knife (this is really important otherwise your apple might explode!). 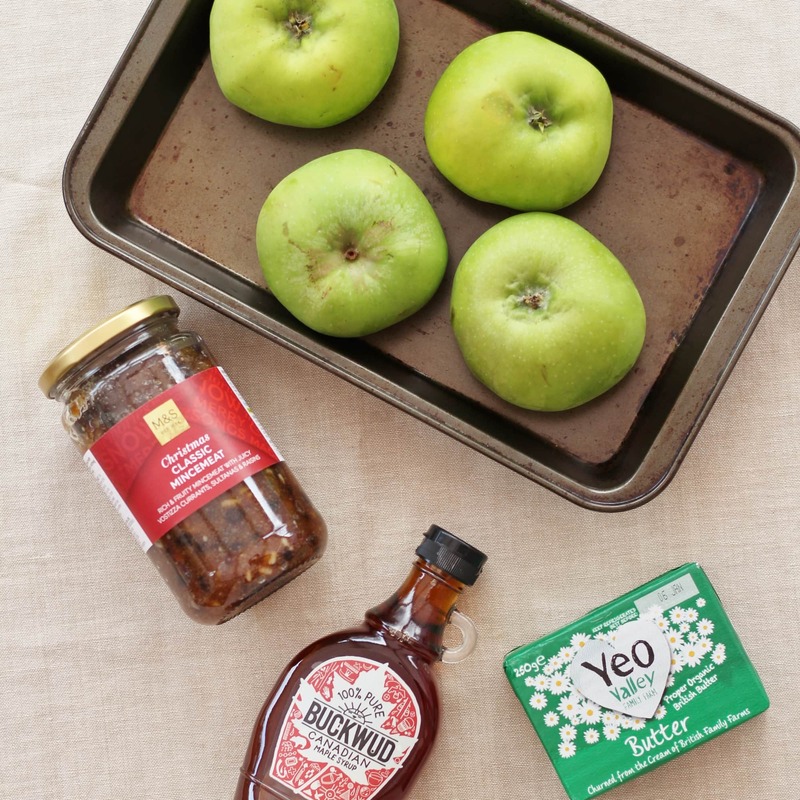 Lightly grease a roasting tray with butter (it’s best to use a tray that will fit your apples in snugly) and place the apples in the roasting tray. 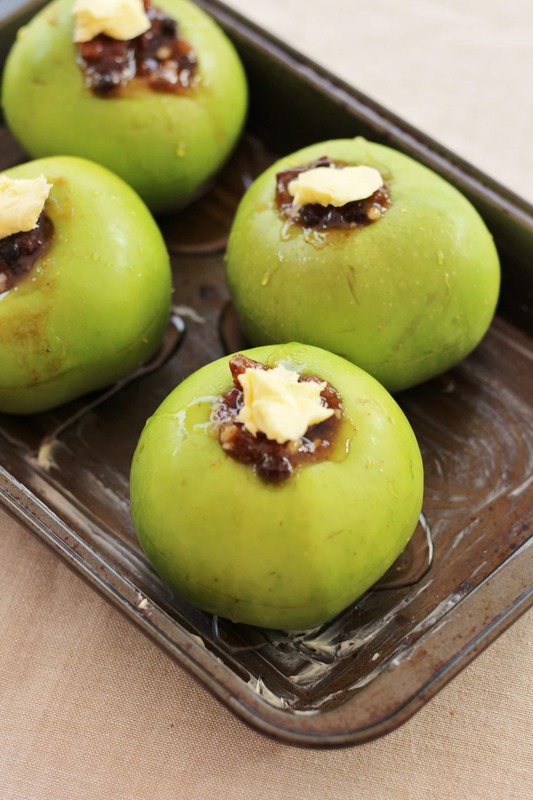 Fill each apple with as much mincemeat as you can and pop a teaspoon of butter on top, then drizzle a tablespoon of maple syrup over each one. Pour 200ml water into the base of your tray (this is to stop the juices burning) and cover the apples with foil. Bake in your pre-heated oven for 45-50 minutes, until the apples are soft. Transfer onto plates and serve with the juices drizzled over, extra maple syrup and a blob of brandy butter. Ooh wow Eb, this looks soo good and a very delicious way to finish off a jar of mincemeat! I rememeber mum making something similar to this many many years ago but if I recall correctly her apples burst because she’s not been aware of the top tip to score around the edge of the apple. Non the less they tasted pretty good……but with brandy sauce and maple syrup – now that’s certainly taken it up a notch or two! 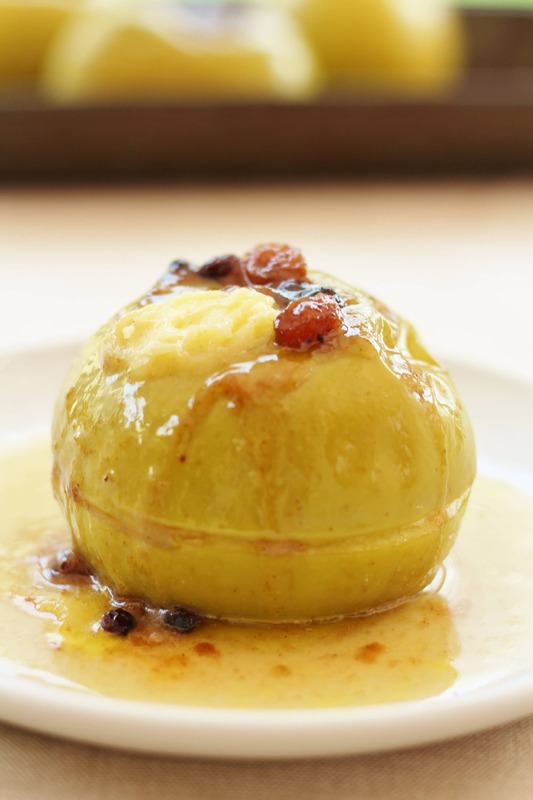 PS, I’m loveing that last image of the apple broken into with the spoon, so very enticing!